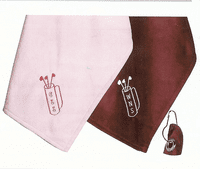 Style: 26 inch x 15 inch golf Towels Towel Color: Please Choose OneWhiteEcruYellowPeachMint GreenLt. PinkLt. BlueHot PinkLime GreenTurquoiseRoyal BlueHunter GreenBurgundyBlack Monogram, Initials or Name: Font: Please Choose OneNoneDiamond MonogramScript MonogramBlock LetterBlock MonogramFishtail MonogramScript Letter Thread Color: Please Choose OneNoneMatch DesignWhiteGreenPinkBlueBrownBlackNavyYellowDark PinkHunter GreenRoyal BlueBurgundyLime GreenHot PinkLight BlueLight PinkOrange Who is this item for? 100% Cotton Terry Velor Golf Towels. 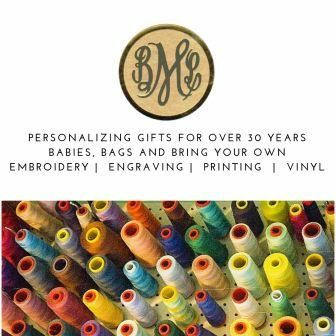 Personalize it with a Monogram, Three Initials or a Name and fill in the "who is this item for?" section. 26" x 15" with a grommet and clip at the corner.